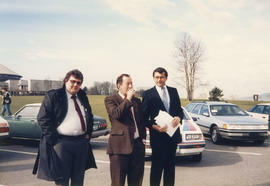 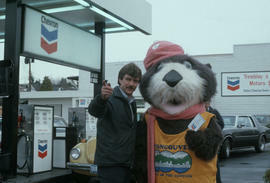 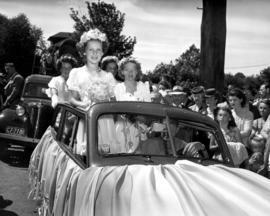 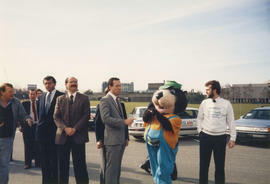 Item is a photograph showing Mayor Harcourt with two men and Tillicum in Vanier Park parking lot at the delivery of the Make Vancouver Sparkle Ford Taurus prize in Vanier Park. 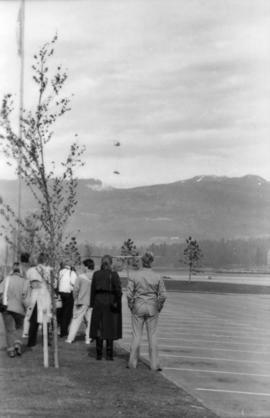 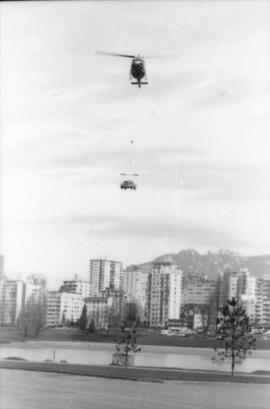 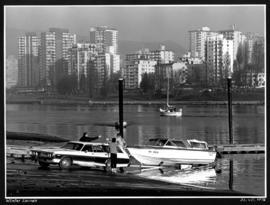 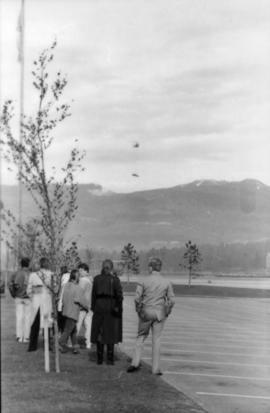 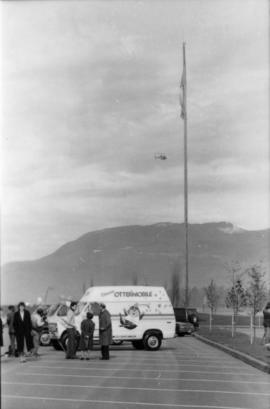 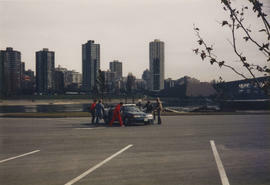 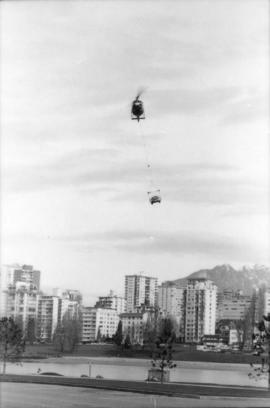 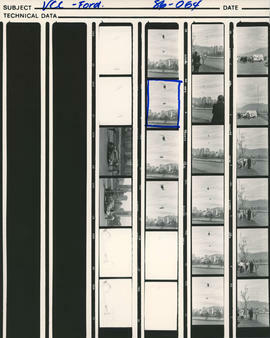 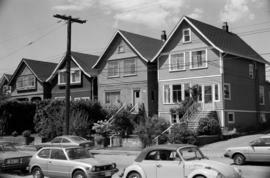 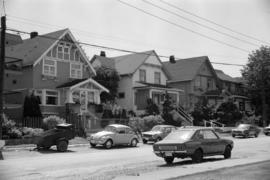 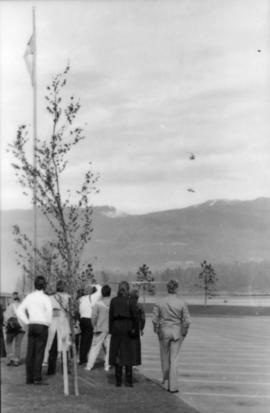 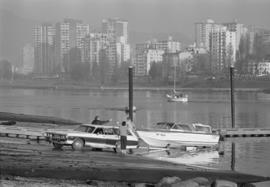 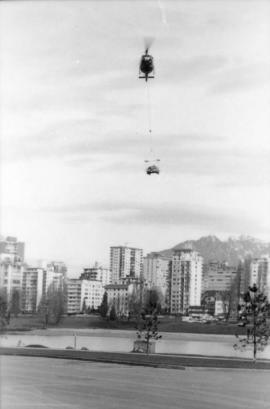 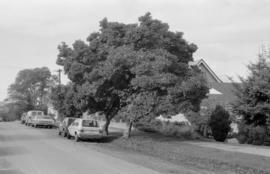 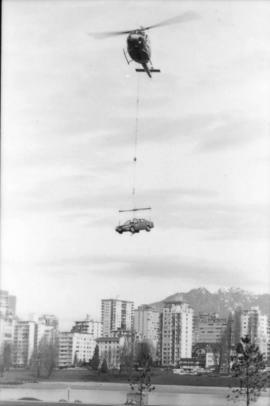 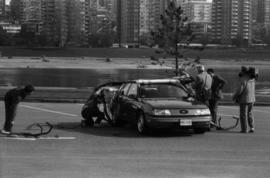 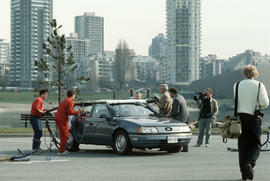 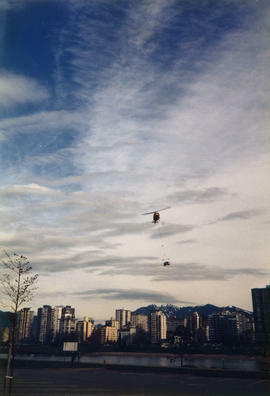 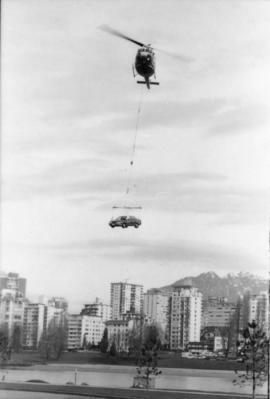 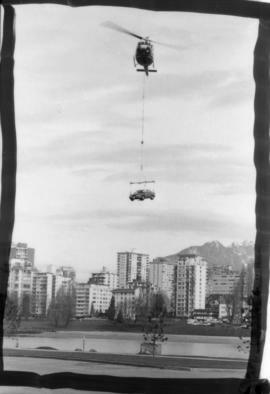 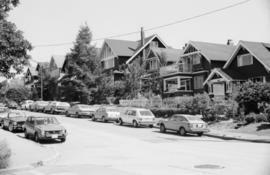 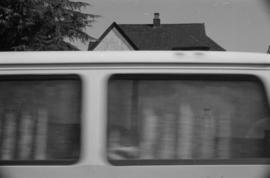 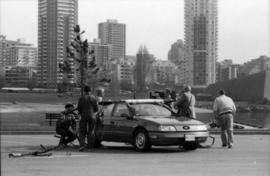 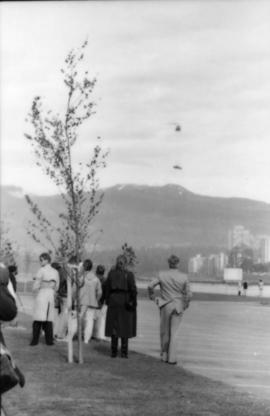 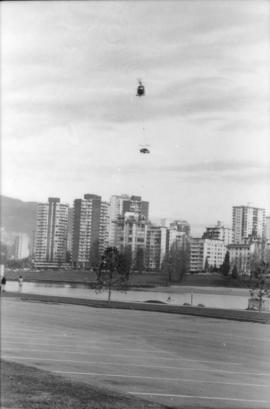 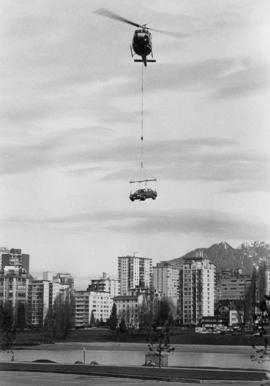 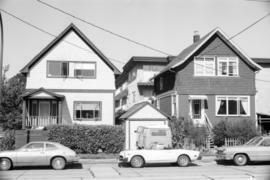 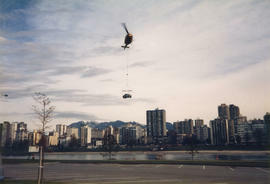 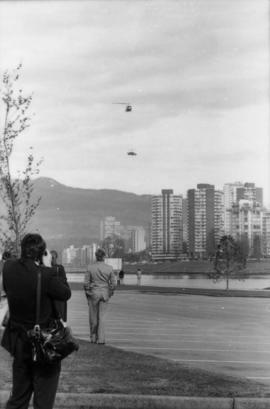 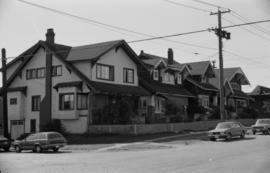 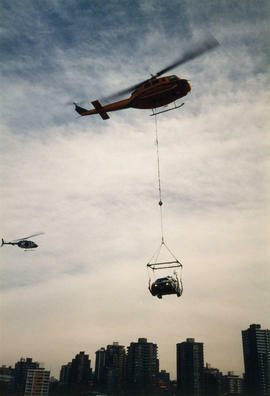 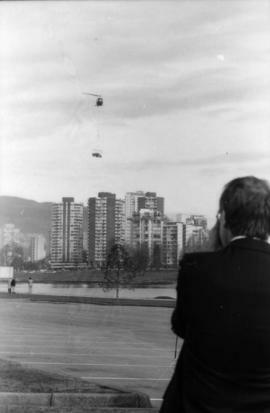 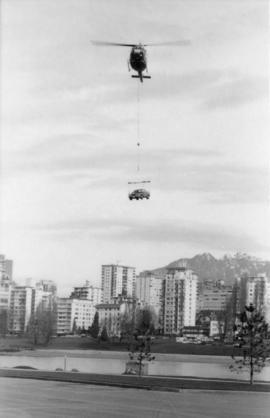 Item is a photograph showing three men standing in the Vanier Park parking lot at the delivery of the Make Vancouver Sparkle Ford Taurus prize in Vanier Park. 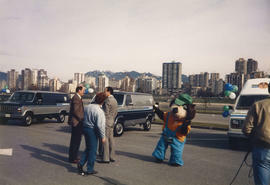 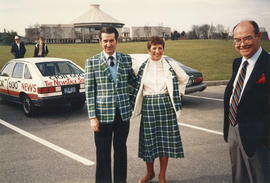 Item is a photograph showing two Centennial Commissioners wearing the Vancouver Centennial tartan at the unveiling of the Make Vancouver Sparkle car prize in Vanier Park. 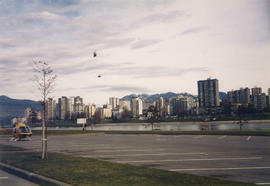 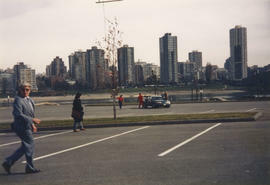 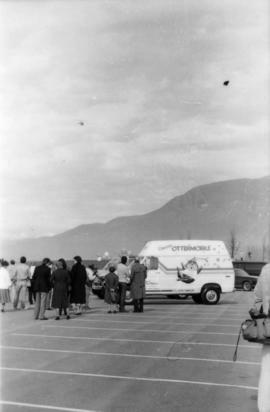 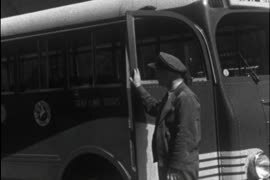 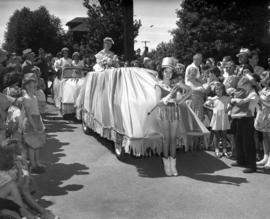 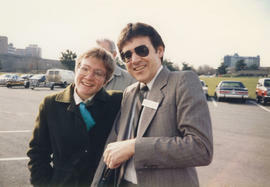 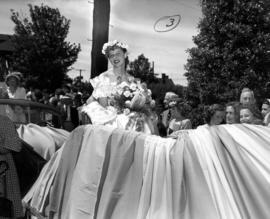 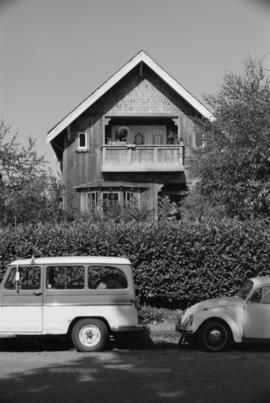 Item is a photograph showing a woman and man standing in the Vanier Park parking lot at the unveiling of the Make Vancouver Sparkle Ford Taurus prize in Vanier Park.